The Paris Marathon start on the Champs-Élysées. Arc de Triomphe with Le Grande Arche (4km away) in the background. Back inside the car after a very wet Long Eaton parkrun! This sums up the weather all over the UK this weekend! Until last Tuesday I had never heard of advent running. I read an article on my twitter feed about someone taking part in 2014 and as I had already done a run that morning (1st Dec) I was eligible to join in. I have always wanted to try a run streak but have only managed 2 or 3 days at the most before thinking that my body needed a rest or finding another excuse!! Advent running is the brainchild of James Poole and Claudia Schroegel and it was ‘officially’ launched in 2014 – it initially meant running every day for 25 days during Advent and for at least 30 minutes (this year the ‘rules’ have changed and any 30 mins of exercise will count – though it’s not a competition, just a challenge). To have the support and encouragement of others and social media groups compelled me to make the decision that I was going to do it. That wasn’t an easy decision, and I knew – that unless I got injured or ill then I would follow it through to the end – I don’t like to give up once I’ve started something. Now I’ve said it – so I’m going to have to do it. So here I am on day 6 having successfully completed six consecutive runs. I usually run three times a week and I always run in the mornings – on my days off or at the weekend. However fitting in 4 more runs means I have to run after work – in the dark. This is something that I haven’t really done before. I have plenty of bright gear to wear and I have found runs that are mostly covered by street lighting. The weather this week hasn’t been too great so I have been running in rain and wind, but hey – its only half an hour and hopefully I will reap the rewards by losing a couple of pounds (I’ve lost one this week) and getting super fit before Christmas. The hubby has joined me on a couple of my runs – having him there as a pacemaker makes me run a bit faster but it also means I have to to run further to make it up to the 30 minutes minimum requirement!! My only worry is will my body hold out? I have various niggles and twinges at the best of times so running for 25 days consecutively does concern me a little. Today, I do have slightly aching legs and my 4-miler this morning was slower than usual. But I think I’m up for another run tomorrow afternoon. I have to make sure I stretch well and use the foam roller at various intervals throughout the day and hopefully i’ll get to book in for a sports massage next week sometime. That will be amazing. I will check back soon and let you know how its all been going. Are you doing the #adventrunning challenge, #runforsprouts #25in25? How are you getting on – do you have aching legs yet? If you’ve done it before do you know if my legs will start to feel better soon? Any advice? I would love to hear from you. So I’m back up to 6 miles. I’m very happy! I have been struggling with a problem well known to runners – piriformis pain, and this led to many weeks without being able to run in 2014. I have been working hard with my prescribed treatment of stretching and rolling and have been seeing my chiropractor on a regular basis. I’m sure many people would have just given up running by now, but that wasn’t an option for me. Running is key to my health, fitness and good state of mind. It also means I can eat what I like (within reason). It was very important to me to get back to the 6 mile run as the 10k is my favourite race distance. 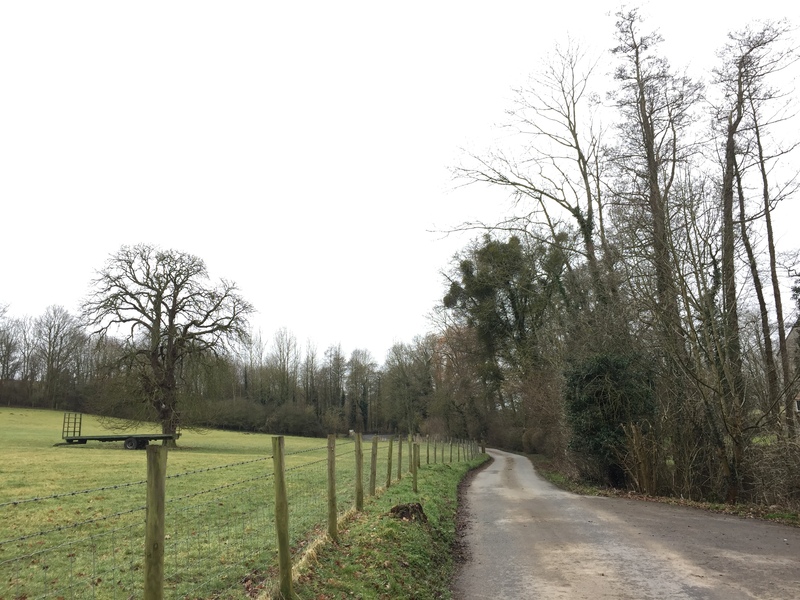 Whenever I go for a run I appreciate how lucky I am to live in such a beautiful part of the world, and how I can just run straight from my front door and very soon be in the peace and quiet of the countryside. Don’t get me wrong, I also love to be in the city, but there’s a time and a place for everything. Oh…. 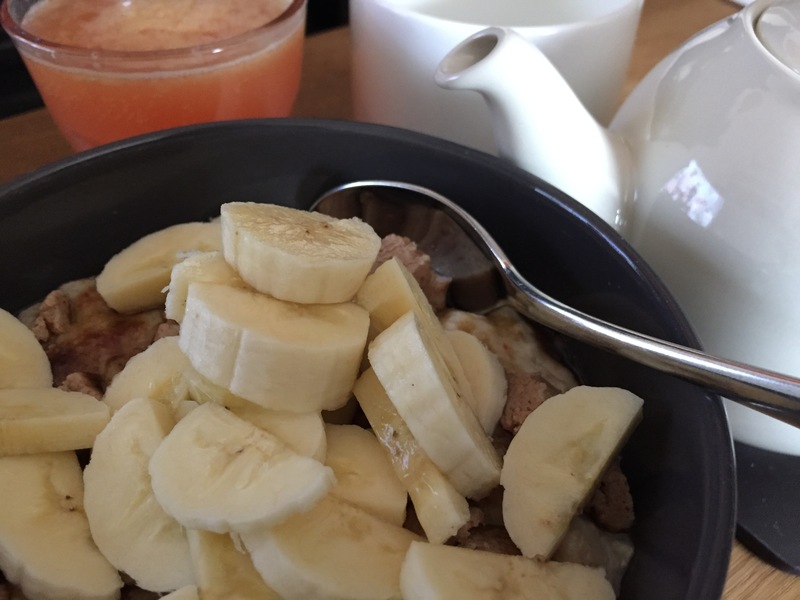 and the time for porridge is most definitely after a run. 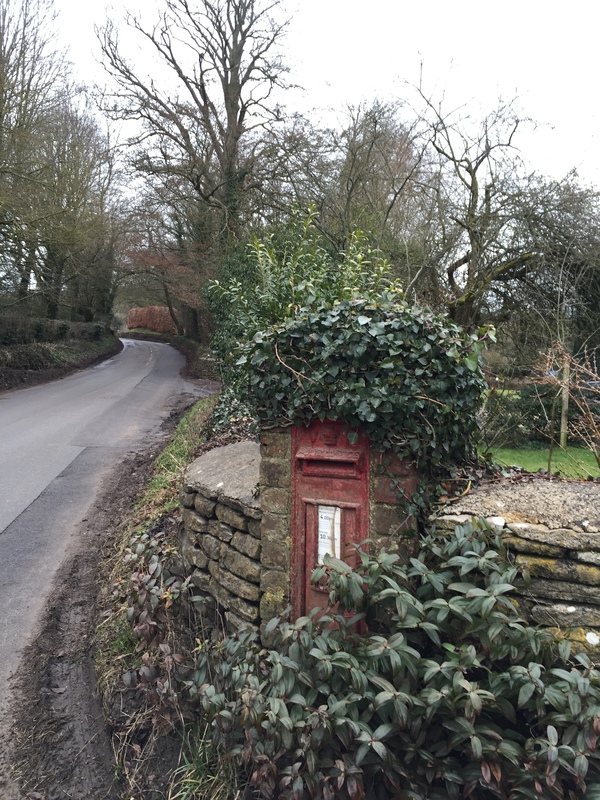 Victorian letter box spotted on my run today. 100+ years old and still in use. Porridge, brown sugar, milled linseed, almond butter, almond milk and banana. Delicious! Tiffin treat – perfect for parkrun milestone celebrations! parkrun – it’s free and it’s fun! Copyright © 2019 bananafitz • life. Powered by WordPress. Theme: Accelerate by ThemeGrill.